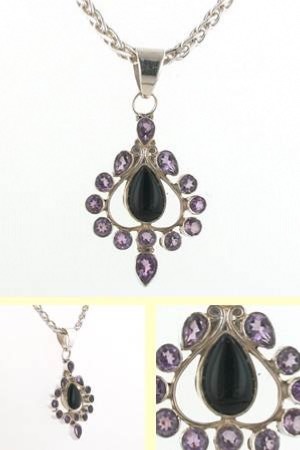 Black onyx and amethyst pendant set in sterling silver. 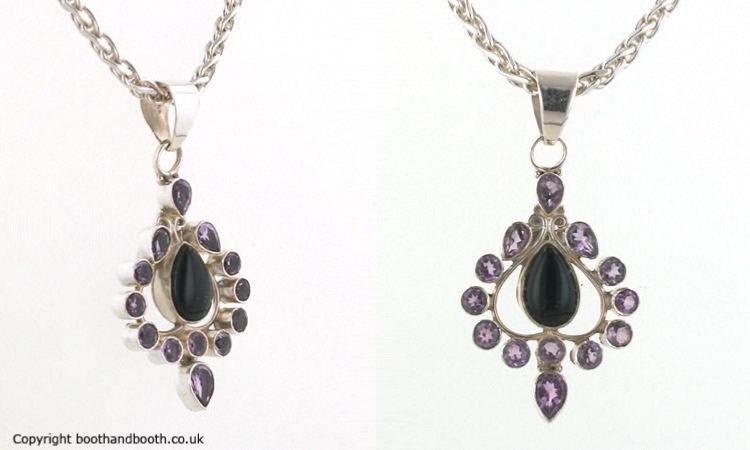 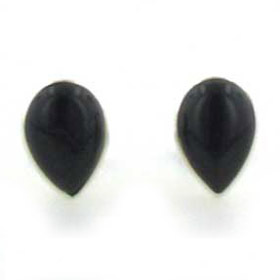 A beautiful combination of a glossy black onyx pear-drop with sparkling faceted amethysts. 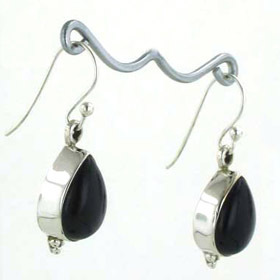 This is a great combination of black purple and silver suitable for both daywear and evening wear. 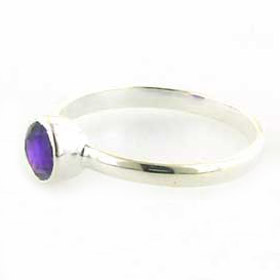 Enjoy Free UK Delivery on this Amethyst Pendant! 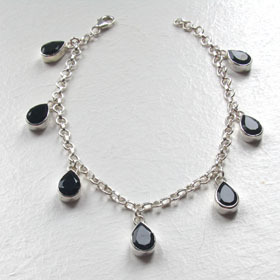 For the ideal sterling silver chain to wear with this black onyx pendant see our collection of Italian sterling silver chains. 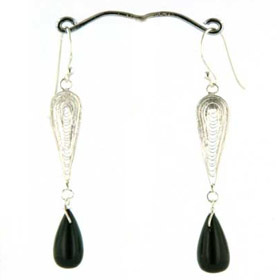 The chain featured is our diamond cut 3.5mm wheat chain (see below).